Luree Wacek was born to John and Rosa (Forst) Wacek in the Murdo Hospital, June 26, 1922. She passed away peacefully in the Sanford Hospital in Sioux Falls, SD on May 11, 2017. Her parents had come to Mellette County in 1912 when the land was opened for homesteading. Her father, John, had registered for the land drawing and was among the 3000 whose names were drawn to “prove up on” land in Mellette Co. He built a one room house 8 miles north of the town of White River. In 1913, Luree’s sister Rosa Marie was born and her brother, Bernard in 1915. Luree was born in 1922 and was baptized Gertrude Luree in the Catholic Church, but she always went by Luree. She attended a one room school thru the 8th grade; she said, drinking from the same tin measuring cup that she had brought to the school the first day of the first grade. It is still one of her prized possessions. Interestingly her sister, Rosa, was her fourth grade teacher. Luree was about 10 when her father passed away, leaving them to take care of the farm through some very hard times in the 1930’s. When Luree began High School in White River in 1937 they left the farm and moved into town. After graduating from high school, Luree attended one year of college at Spearfish, SD and then began teaching in a rural school. Next, by taking state exams, she got a State Teacher’s Certificate that qualified her to teach in a town school. She then taught, along with her sister Rosa, in Mission for 7 years. Luree went back to Black Hills State College and got her Bachelor’s Degree and later a Masters from the University of Wyoming for School Administration. She served as the last County Superintendent of Schools for Mellette County and then as the Elementary School Principal in the Mid-70’s in Hill City, SD. After Retirement, she and Rosa spent time doing things that they liked best; some of which including traveling, sewing, collecting antiques and refinishing old furniture. Luree loved to garden and took pride in the assortment of flowers and rose bushes in the large shaded yard around the house she and her mother had moved into when she as a sophomore in high school. On occasion, when talking about her tree covered “garden-like” yard, she would reminisce about when they moved into the house the was nothing around the house but bare ground (and being in the drought-stricken 30’s it undoubtedly was BARE ground!) What a difference 80 years can make as it became one of the loveliest , tree-shaded yards in White River as long as she was able to maintain it. Growing up during difficult times, Luree became a strong, persevering woman; who treasured special items, special occasions, special people and special places. Her appreciation for learning and growing in knowledge kept her interested in in world affairs and politics. It also kept her humble and she was thankful for all of her blessings. Her strong faith in God kept her going, even when it grew very hard to continue on. 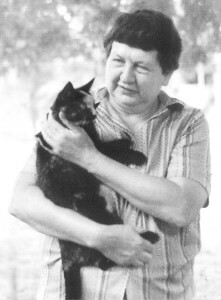 Luree’s compassion for God’s creatures was evident, and she never gave up trying to take care of the many cats and kittens that would come into her life. She loved them all! Even authoring a book title “Blackie”, memorializing one of her many cat-related adventures. Luree was a gifted writer, and over the years, she maintained contact with many of her friends and classmates by writing long letters to them. She has kept those people updated on White River’s progress while, at the same time, her book entitled “Back Then-Early Days in Mellette County”, continues to keep the younger generations updated on what life was like when our area was being settled. Luree did not want these “times” and circumstances to be forgotten. Robert J. “Bob” Peklo, 80, passed away May 6, 2017 in Omaha, NE. He served in the U.S. Navy from 1956-1960. Bob was preceded in death by his parents Emil & Elsie Peklo (Spicknall) and 2 sisters. He is survived by his wife of 58 years, Mary Lou Peklo; Daughters: Kathy English & husband Rick, Karen Peklo; Grandchildren: Ryan English, Katrina McKeagney & husband Adam; 3 great grandchildren; 2 brothers & 2 sisters. Born April 11, 1934 at Dallas, SD to Emil and Christina (Drefs) joining the family Leona, Annetta, Ervin, & Elta. Leonard grew up in the White River area. He entered the Army in 1956. After his discharge from the Army he married Thelma Evans. Leonard went to work for Terrace Park Dairy a career that lasted 28 years. He delivered to small towns around Winner, Murdo, and Pierre. The family moved to Winner to help his brother Ervin run the Westside cafe. Missing the milk business the family moved to Pierre. Leonard worked for Pierre Public School as he enjoyed working around the children. Leonard enjoyed people he liked to prank, scare or tell a story and make people laugh. Leonard loved hunting and being out in nature. 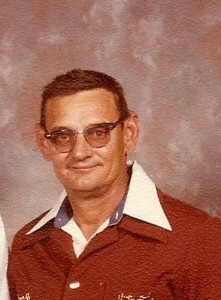 Harold Gidion Bender was born in Dallas, SD on Jan. 31, 1934 to Robert and Emma (Hoffman) Bender. Harry grew up in the Dallas and Gregory area. He entered the Army in November of 1956 and served his country until his honorable discharge in November 1958. Part of Harry’s time in the Army was spent in Germany. Harry then transferred and served in the National Guard. 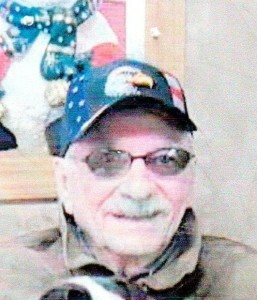 Harry was a trucker and hauled cattle and grain for several area companies. He enjoyed trucking and did it well. Harry married Vera Condon Dooley on Dec. 19, 1969 and became the father to her four children. A few years later their son Andy was born. When it came to fixing and tinkering on things–from cars and tractors to working with wood–Harry could do it. He was an excellent mechanic and carpenter. 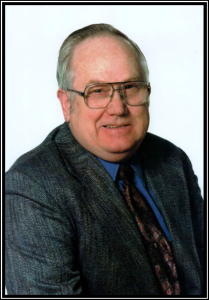 Harry passed away on May 12, 2017 at Sanford Long Term Care in Chamberlain, SD at the age of 83. AAA projects 39.3 million Americans will travel 50 miles or more from home this Memorial Day weekend. That is one million more travelers than last year taking to the roads, skies, rails and water, creating the highest Memorial Day travel volume since 2005. The 2017 forecast is 29 percent higher than the 2009 post-recession low of 30.5 million. 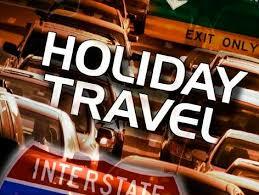 The Memorial Day holiday travel period is defined as Thursday, May 25 to Monday, May 29. 1.75 million Americans, an increase 2.9 percent from 2016, will look to other modes of transportation, including cruises, trains and buses. Drivers will pay the highest Memorial Day gas prices since 2015. Airfares, car rental rates and mid-range hotels are all trending higher than last Memorial Day. While AAA expects most U.S. drivers will pay the highest Memorial Day gas prices since 2015, the vast majority of holiday travelers (88.1 percent) are still planning to hit the road. Automobile travel will grow by 2.4 percent this Memorial Day, with 34.6 million Americans planning a holiday road trip. The national average price for a gallon of gas was $2.34 per gallon yesterday, 12 cents more than last year. Attorney General Marty Jackley, Sanford Health, South Dakota Sheriff’s Association, South Dakota Police Chiefs’ Association and the South Dakota Department of Public Safety announce the rollout of Project Stand Up- a statewide anonymous texting program that allows citizens to standup to drug crimes in their communities. “As our nation faces a growing drug epidemic, it is important that South Dakotans use innovation and technology to better protect our communities. Anonymous texting allows citizens to be proactive and take part in keeping their communities safe. Please join me, law enforcement, healthcare providers and our communities to Stand Up to illegal drug use,” said Jackley. “Sanford Health is proud to join with SD law enforcement on this important program to help keep our SD communities safe,” Mike Begeman, Sanford Health. Project Stand Up is a coordinated effort amongst law enforcement officials and healthcare providers statewide to standup to illegal drug use in South Dakota. 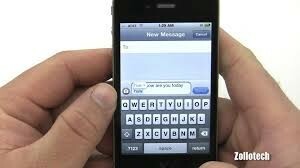 Texting a tip is simple- just text ‘drugs’ to 82257. The tipster will be asked a series of questions for additional information. The level of involvement lies with the citizen, while always remaining anonymous. An educational component will be added in the fall to address the legal consequences of drug use. 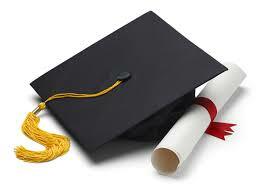 Area students graduated from Mitchell Technical Institute on May 5. The graduates include: Samantha Stickland, high honor, business management; Samantha Simkins, culinary academy; Emily Richey, medical laboratory technology; Chelsea Storms, high honor, medical laboratory technology; Forrest Cerv, high honor, agricultural technology-production; Baleigh Turnquist, agricultural technology-production; Cody Heath, honor, Build Dakota Scholar, wind turbine technology. Brittney Hansen of Winner, a 2016 graduate, gave the alumni association welcome. Cerv had perfect attendance for one year. 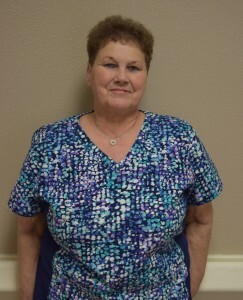 Lorna Whiting, a laundry aide at Winner Regional Healthcare Center, was selected as the star of the quarter for the second quarter of 2017. The Star of the Quarter award is an honor meant to recognize outstanding employees who exemplify Winner Regional Healthcare Center’s commitment to quality. Whiting has been employed at Winner Regional since March of 2015. The Winner American Legion will meet on May 22 at 7 p.m. at the post home. Among the items discussed will be plans for Memorial Day. The Legion auxiliary will meet in the afternoon on May 22. Winner School District has been awarded a South Dakota Workforce Education Grant. 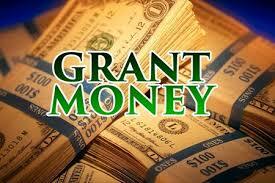 The grant is to develop an agriscience learning center. In 2013, the South Dakota Legislature established the workforce education fund. Part of that fund was designated to provide grants for career and technical education programs in secondary schools. The purpose of the grant program is to provide the opportunity to make change in career and technical education programs. High quality CTE programs give students the knowledge, skills and experiences to be prepared for postsecondary education and the workforce.